Manchester United are currently in a tough situation. After winning just 22 points in the opening 14 rounds of the Premier League season, they find themselves in eighth place – albeit that is thanks to Bournemouth’s win on Tuesday night against Huddersfield – and their match against Arsenal could be one of those crucial games that trigger some bigger things. We wrote about that on Monday and how that match could change United’s season, especially if they lose, but today we are looking more precisely at Arsenal and what they are bringing to the table. After a statement win in the North London Derby, Gunners will be ready to show their attacking arsenal at Old Trafford, a place where sides are seldom scared to play at. There was this talk for a short while about Man United being “Second Half FC”, after all of their late comebacks in some of the early matches this season. That was especially the case after the turnaround against Newcastle, but that title – or whatever you would like to call it – actually belongs to Arsenal. And for a reason. In fact, Arsenal are – alongside with Cardiff City – the only team in the league to have never led in a Premier League match this season at half-time. This means Arsenal have won 20 of their 30 points in second-half, getting to crucial results in those 45 minutes in each of their nine wins. That could be labeled ‘character’, but it also tells the story of sticking to your guns, knowing what you are supposed to do and Unai Emery’s great substitutions. Winning that many points in second half cannot always be a coincidence. What Arsenal have this season that they were lacking in recent years is a real attacking duo that works perfectly. 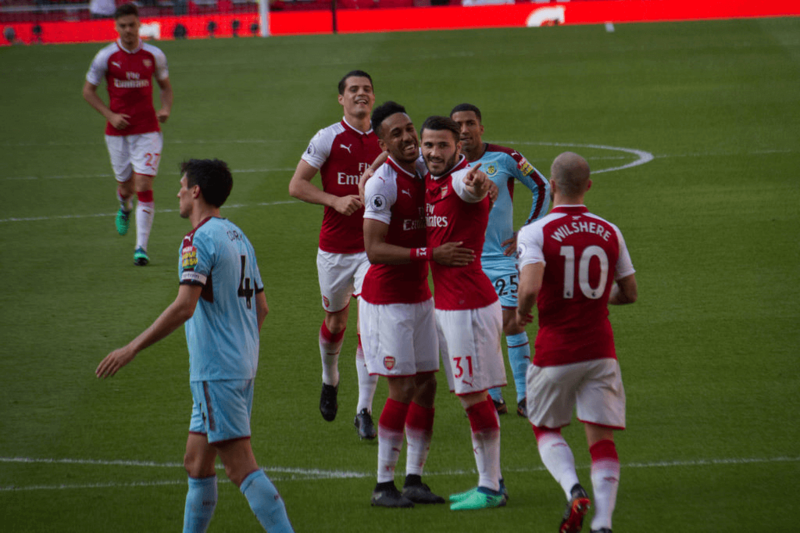 Pierre-Emerick Aubameyang and Alexandre Lacazette feel like they were made for each other, as their understanding on the pitch was obvious from the first time they partnered. In fact, not many teams these days have real duos, as everything is about tridents these days, but Arsenal are feeling the old days. Aubameyang has scored 10 Premier League goals, Lacazette six and both players have assisted two goals each. The Gabonese striker is averaging a goal every 103 minutes this season, scoring 10 goals with his last 10 shots on target. Also, if you exclude Man City, Arsenal have scored the most goals this season. However, that leads us to Arsenal’s overperformance of expected goals this season. No team in the league has overperformed what their xG suggests they should be scoring. Gunners have netted 32 goals in this campaign, compared to 20.83 xG. They had matches like the one against Fulham, where their xG was 1.15, but they still scored five goals at Craven Cottage. This means Arsenal truly are on a hot streak right now, but that does not mean it must end soon. They have real finishers playing up front and if they improve their defence, then a drop off in attack would not be felt as much. Arsenal were expected to concede a bit over 14 goals, but conceded 11, which tells you why they managed to win 30 points and reach fourth place in such a competitive start to the season of the five big clubs, as Man United are not in that group so far this season.